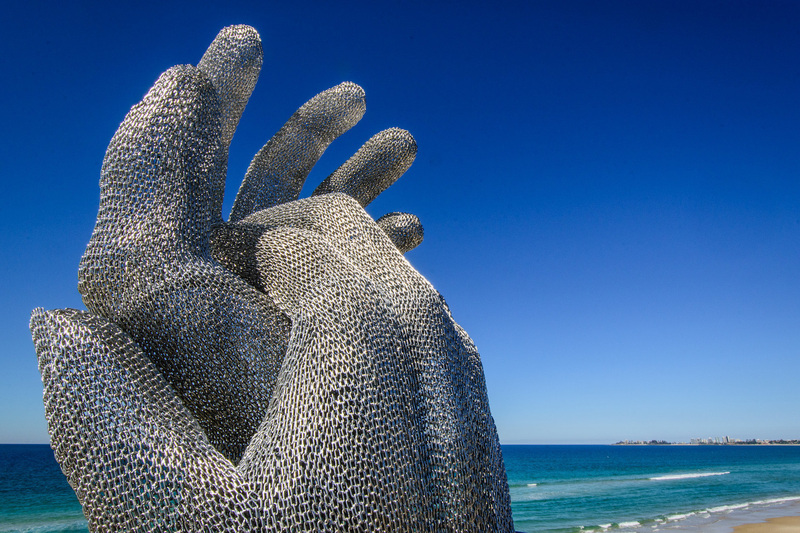 The golden sands of Currumbin Beach on the Gold Coast will again transform into an impressive collection of specially curated one-off works of art for the 16th annual SWELL Sculpture Festival. Visitors to the festival can enjoy a multi-faceted creative environment, with the event program featuring a host of engaging family-friendly workshops, a school-based program and captivating guided twilight walks winding through the sculptures as the sun sinks beyond the skyline. Art lovers of all skill levels will have the opportunity to engage in a variety of workshops throughout the exhibition and year’s program will also see the addition of artist talks, a series of interview-style chats with select exhibiting artists. While perusing the works of art at the festival, visitors will have the opportunity to vote for their favourite sculpture with a People’s Choice Award going to the artist with the highest number of votes. There will also be awards presented to the winners of the Kid’s Choice Award, Emerging Artist Award, Environmental Awareness Award and Artist Peer Award.